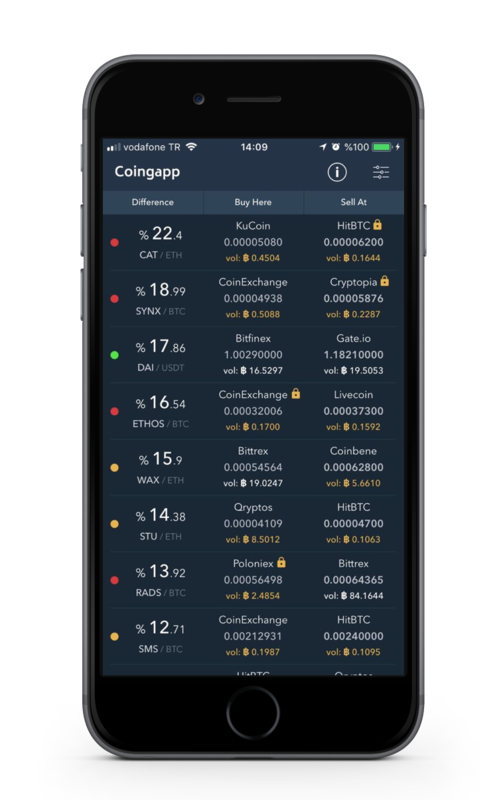 Coingapp offers to find the best arbitrage opportunities between Crypto Currency exchanges. Don't miss your chance, Try it out now! 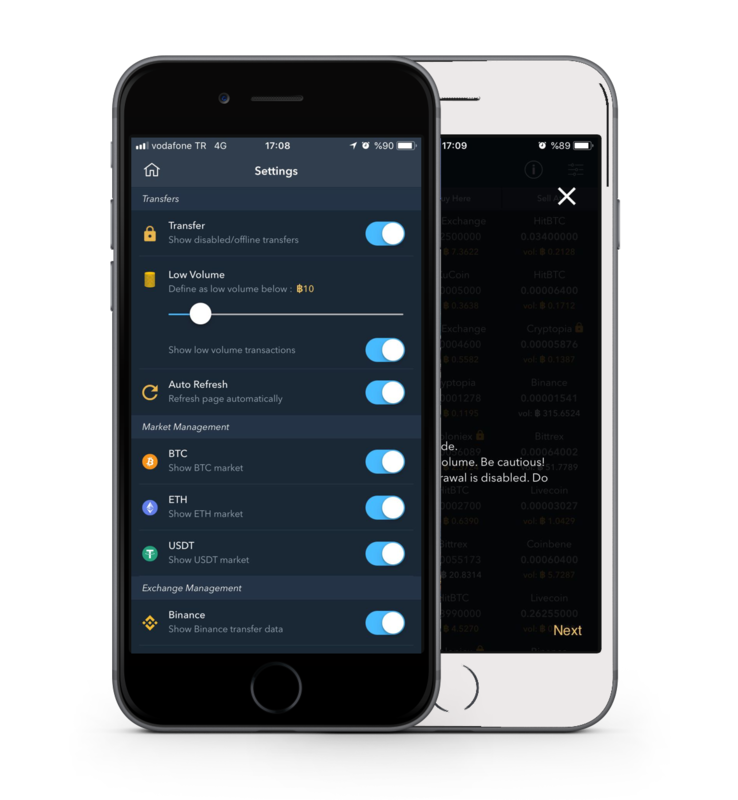 Find Arbitrage Opportunities while monitoring enabled and disabled Currencies. Filter your Favourite Exchange Sites and Markets. Get warned about Low Volume Transactions. Auto Refresh function allows you to refresh Opportunities every 10 seconds. Understand the status of an Opportunity by its color. Yellow: Coin has low volume. Be cautious! Red: Deposit or Withdrawal is disabled. Do not trade! Coingapp offers multiple ways to filter your Opportunity List. Tired of refreshing the List. Just activate Auto Refresh Feature and let Coingapp do the work for you. We are trying hard to make a good Product out of Coingapp. If you encounter any issues, or want to share a suggestion or feedback, please let us know. © Copyright coingapp.com. All right reserved.